The National Weather Service has issued a Storm Surge Watch for the New Jersey coastline, with an initial watch package showing a potential for a five foot surge in the area of Ocean County as Tropical Storm Hermine drives up the eastern seaboard. A five foot surge is considered a “major” flooding event, and among the top flooding events of all time. By comparison, the storm surge from Superstorm Sandy was about 7-8 feet in most areas – and 8.8 feet at detection buoys near Atlantic City. According to forecasters, the largest potential for flooding in the local area may come if Hermine stalls off the coast, morphing into a storm system more commonly resembling a nor’easter than a tropical system. 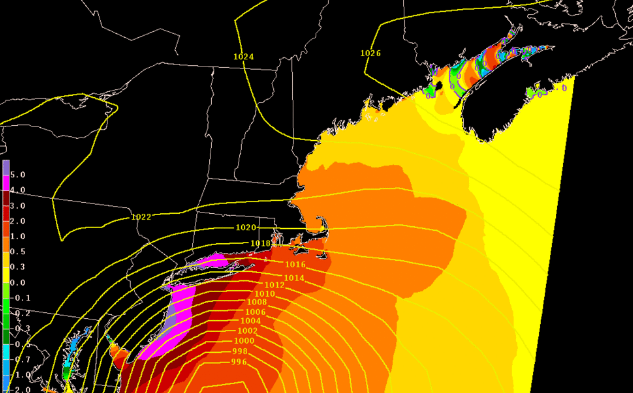 The National Weather Service has said the most likely time for flooding will be the PM high tide on Sunday.